Since the ACT government introduced the ban on lightweight plastic shopping bags in November 2011 we have all become used to carrying lots ‘green’ bags when we go shopping. While these are multiple-use jobs, I’ve noticed ours are starting to get rather shabby, starting to tear and look generally ratty. I know I can just ‘conveniently’ buy another ‘green’ bag the next time I’m at the shops, but I’ve decided to be a bit more proactive and make my own. Heaven knows I have enough fabric in my stash to furnish a large portion of our city’s population with shopping bags. It’s easy to make a pattern, just pull apart any old ‘green bag’ use the pieces as your pattern and away you go! To be honest I was impressed how well the bag I pulled apart was constructed. 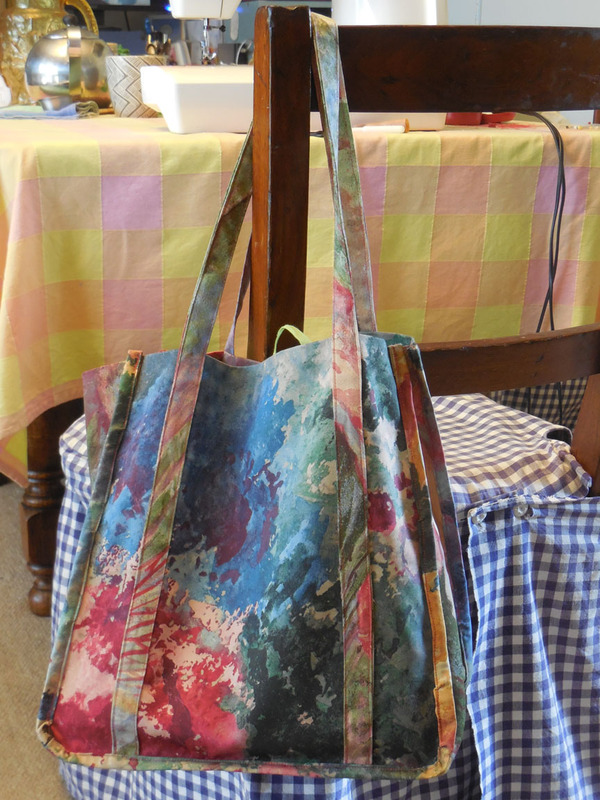 I made my bag using sturdy furnishing fabric remnants that I bought from the upholstery section of a department store. Curtain shops are also a good place to buy fabric with interesting patterns. 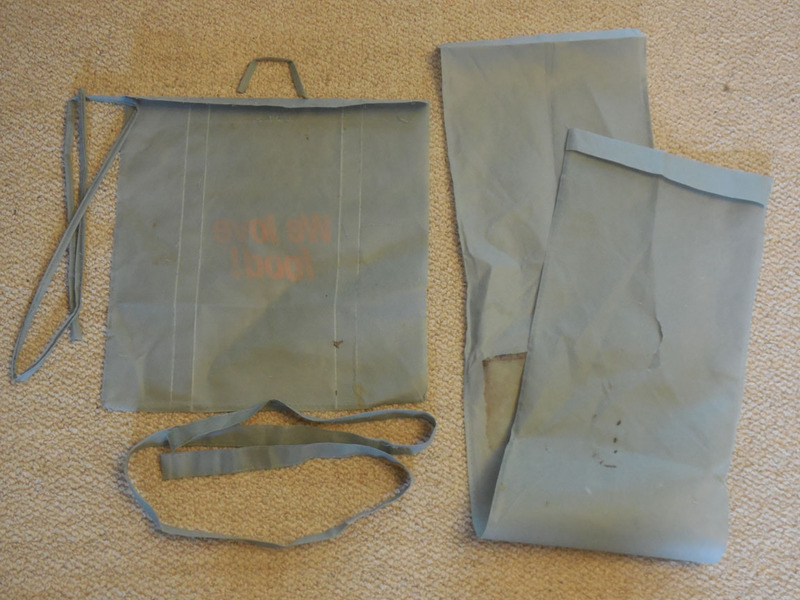 You could also use canvas or other heavy cotton drills or denim to make your bag. If you are using remnants and need to sew pieces together to get the right length make sure you reinforce the seams where you’ve joined the fabric. The construction is pretty straight forward. Follow the construction of the original bag. Sew you handles to the sides of the bag – remember to do this before you sew the sides of the bag to the gusset – and sew the little loop onto one side on the top edge. Don’t forget to reinforce where the handles join the top edge of the bag by sewing a ‘X’ across the top of the handle. Sew the two sides to the gusset, so that the seam is on the outside (right side) of the bag. Trim seam back towards the stitching. Cover the outward facing seam with a binding that encloses the seam. Make an insert for the base of the bag. I was trying to work out how I could make the bottom insert, that keeps the bag bottom flat, when I realised a I have lots of left over tapestry (needlepoint) canvas which is perfect for the job. 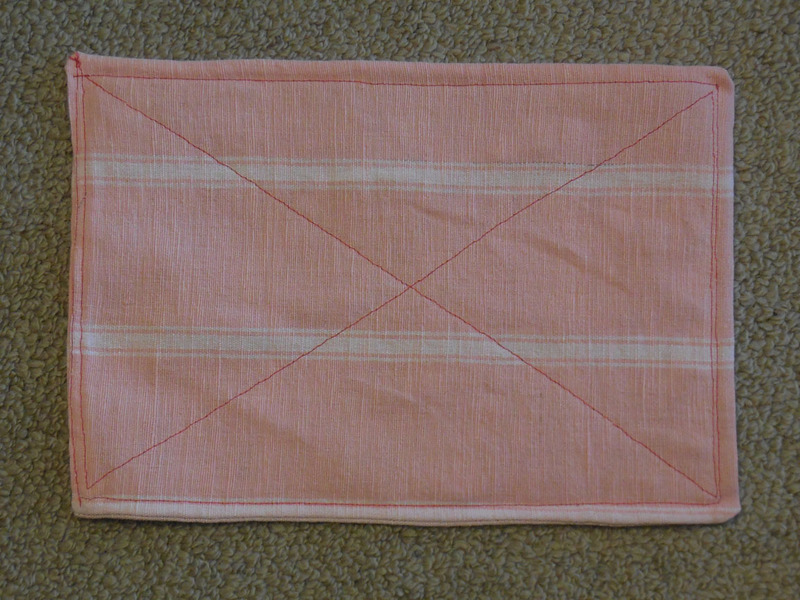 The insert is made by enclosing a piece of remnant tapestry canvas. At this stage I’m sticking to the standard bag design. The only thing I’m thinking could make the process easier is to get some woven tape to bind the edges, purely because all the fabric on the seams gets a bit bulky to sew. Here’s the first cab off the rank! My first shopping bag, a gift for my frend M.